Home » Blog » Small Business » Small Business Marketing Plans – Is Yours Working? There are many components to effectively running a small business, and creating a marketing plan is definitely considered to be one of the most essential. 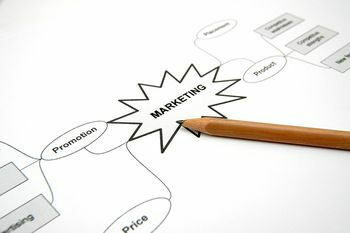 A good marketing plan is meant to help you construct a way to help your business succeed by figuring out the best ways to promote and advertise your particular product and/or service. Whether your business is brand new or a already has a few years of experience, know that a good marketing plan is essential to your overall success. A good marketing plan will include several key aspects of your particular business in order to form a plan that is inclusive to your business. Asking yourself the right questions that can help you write a good marketing plan is the first step. Has the/my industry changed? Is there currently a trend I should be aware of? Is my product and/or service still in high demand? If not, why not? Who are my direct competitors? How many are new? How many quit? Is there a need that isn’t currently be addressed that I can fill? Am I marketing on the Internet in the best possible way? A summary/analysis of the strengths/weaknesses of your company. A summary/analysis of industry and/or market trends that could affect your business. A list of your target groups and the message you want to send them. A list of specific goals with a timeline set. A strategy for implementing the goals. A method in place to evaluate/measure any and all progress. *A Specific Example. It’s important to be as specific as possible when creating your particular objectives. Instead of writing a goal to ‘Increase product awareness’, be more specific so you are able to perform a true measure, ‘Increase product awareness to target audience by a minimum of 18%’. The more knowledge you have about your particular market, the better equipped you will be when it comes to creating the ideal marketing plan. An in-depth knowledge of the products and/or services along with all their features and benefits coupled with a careful understanding of what your customers wants and/or needs are, is a great start to making the best marketing plan for your particular business.